Giving of your time is the most precious gift of all. Your support contributes tremendously to the success of Canary events and activities. If you’re a current volunteer, we thank you for your tireless work and commitment. If you are thinking of volunteering, we want to hear from you. Yes, we work hard, but we have fun too, and it’s all for a wonderful cause — early cancer detection. We need volunteers on an ongoing basis for events. Volunteers help with registration, auctions, setup and breakdown, and a host of other tasks. If you have questions about volunteering, please contact us by using the Contact form. If you are interested in volunteering your time and expertise please contact us. 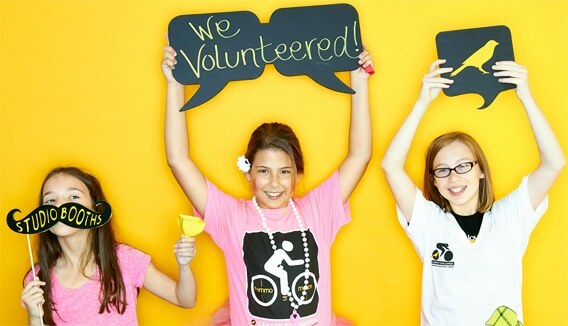 If these young girls can volunteer, why don’t you?